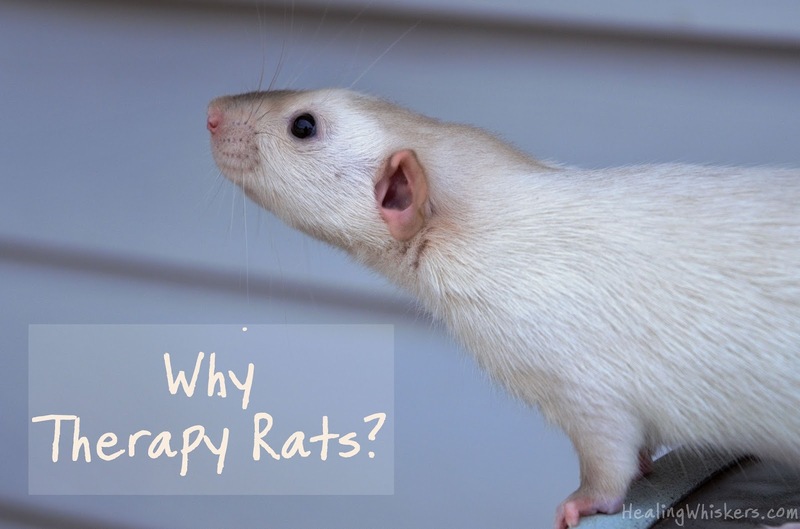 Healing Whiskers: Why Therapy Rats? Everett and Delmar are my first pair of rats which I got in 2014. With them being part of my blog, I brought them with me to my first Blogpaws conference in 2015 and they have frequently been to pet parades. With Blogpaws, they were a huge hit and everyone just loved them. Rat selfies everywhere and the boys were all smiles and so were the people cuddling them. At the annual Rome, Georgia St. PETrick's Day parades, Everett and Delmar get passed around by kids. Jada and Bailey(my two dogs) definitely get jealous. At this point, the idea of a therapy rat was just kind of forming, but I didn't think I could do it. 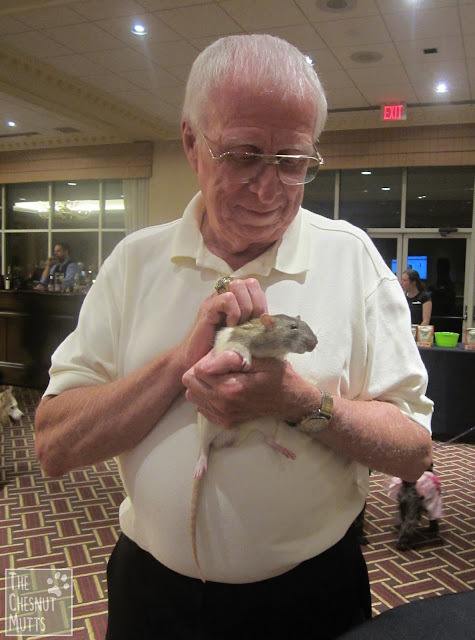 We did go to one event recently in 2016 that really got me serious about therapy work with rats. 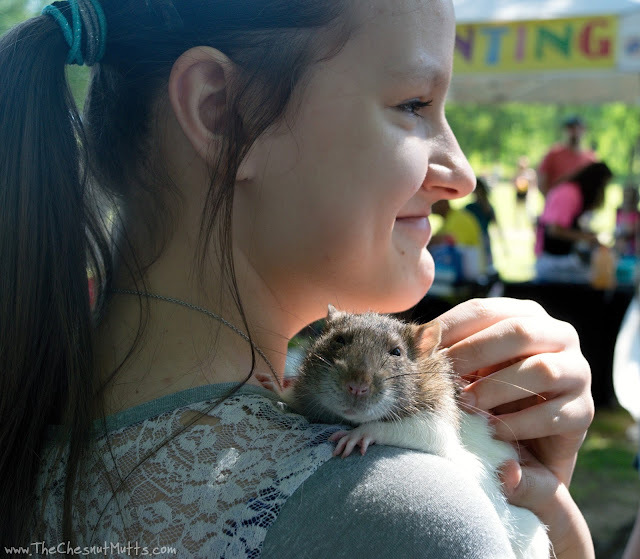 It was a Harmony festival in Rome, Georgia and I brought my rat boys to spread some love. It definitely spread! Everett and Delmar loved snuggling with people of all ages. As you can see from the photos, the boys bring smiles to people's faces and it just warms my heart. You ever have a strong feeling of doing something? Like so strong you think that you born to do it? Well, that is what I felt when I decided to pursue this therapy rat route. I wanted to get Jada or Bailey into therapy work, but they just don't fit the criteria. Plus, I found that my rats are so much more comforting to people. There aren't many therapy rat teams out there, or info out on the internet, so I decided to start Healing Whiskers! 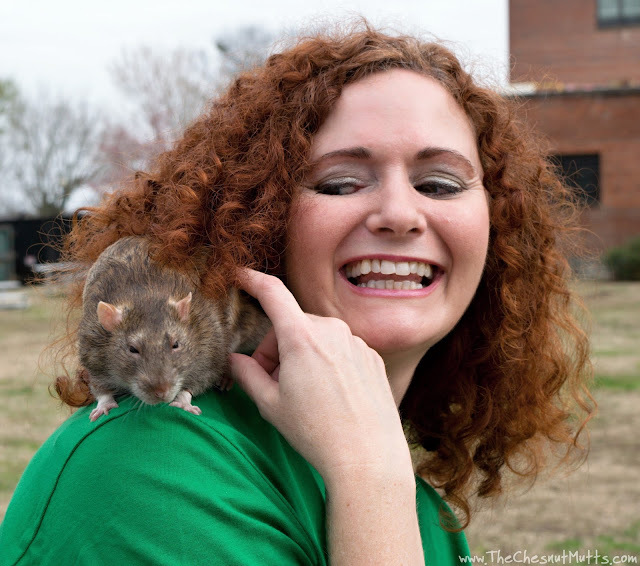 Stay tuned for more blog posts about what makes a therapy rat, what exactly is a therapy rat, and more about the main rat we will be training. 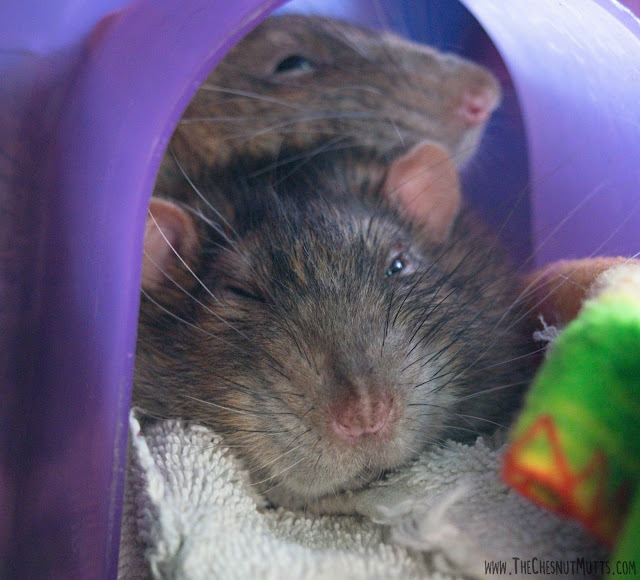 Do you think having a rat to cuddle would be calming for you? 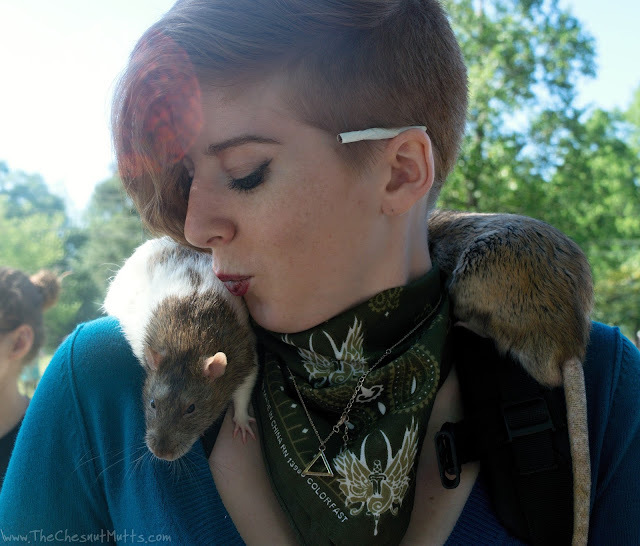 I'm surprised at how big your grown boys looked, I don't think most people realize that rats are big enough to legitimately give hugs! I keep mine as therapy pets (for myself)! They're not trained for it though and I'd love a trained pair. My daughter and I are soooo interested in therapy rats!!! Where do we start? ?